Our Standard range of barrier tapes are ideal for individuals and businesses who require a tape which is easy to use for identifying hazards. 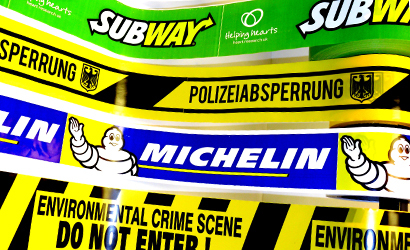 Non-adhesive Barrier tapes can be printed to your requirements to carry most generic warning messages. Our completely in-house production process for barrier tape allows us to turn round jobs within a matter of days in most cases . Tailormade warnings to suit your requirements. What is standard barrier tape useful for? Barrier tape is used to mark off an area where construction, danger or crowd safety is required The tape is usually placed so that people know to stay at a safe distance away from possible dangers. Barrier tape of this type is usually brightly coloured, making it easy for people to see the tape. Who typically uses standard barrier tape?